You are here: Home / Arts / Dispatches from the Victoria Fringe 2016. Day Four. Dispatches from the Victoria Fringe 2016. Day Four. 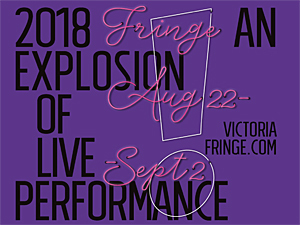 Victoria Fringe Festival August 22-September 4, 2016. Reviews of The Quiet Environmentalist by Carolyn Moon and SJ Valiquette, Pandemonium by Rob Gee, (i·m)position by Luciterra Dance, Bushel & Peck by Alistair Knowles and Stéphanie Morin-Robertt, Best Picture by RibbitRepublic, Sky Corner, by Hannah Ockenden, Joanie Papillon, Natalie Shaw. Day Four found me hunkered down in two venues that are part of the same building, and around the corner from one another at the Victoria Conservatory of Music–Venue 4, Wood Hall and Venue 3, the Metro Studio Theatre, for spoken word (The Quiet Environmentalist, Pandemonium), wacky and absurd physical theatre (Bushel and Peck), high-speed impressions (Best Picture), short vignetts (Sky Corner) and dance–(i m)position. Close physical proximity allows Fringe-goers to maximize their Fringe viewing. Other good examples of close venues are Venue 1–the Victoria Event Centre–and Venue 2–the Downtown Activity Centre. For venues like Venue 5–Langham Theatre, Venue 6–Fairfield Hall, and Venue 7–the Roxy, I try to schedule several shows at once. Frank and lyrical, filled with graceful word pictures and heart-felt monologues, The Quiet Environmentalist tackles issues of eating disorders and the complex nature of mother-daughter relationships with introspective musings. Collaboratively written by Carolyn Moon and SJ Valiquette, fellow UVic Phoenix students, and performed by Valiquette (also a noted local slam poet) this collection of stories admits, up-front, that writing a Fringe play is one strategy in a list of many for conquering ED. Valiquette concedes to feeling discouraged by the fact that many people see disordered eating as a healthy lifestyle choice (you are losing weight after all) and traces the long evolution—from teenhood to hospital ward—of her own condition. What begins with the subtle seduction of compliments as the pounds drop off, and a mother who appears to turn a blind eye, gradually takes a drastic turn. Stories about their own mothers’ mother-guilt surface—becoming enthralled by televangelists, baking bread, quietly developing the ultimate recycling regime. In the resolution, there are gentle aphorisms–“You are more than enough”, “I give you permission” and positive messages. As Valiquette slowly nibbles on a muffin at the show’s close, waiting to leave a message for her mom, it becomes apparent that issues in the mother-daughter dynamic are well on their way to being resolved. A hope-filled piece of word artistry, told from a female perspective, A Quiet Environmentalist will nonetheless resonate with anyone who feels the burden of society’s at-times over-whelming expectations. The Canadian College of Performing Arts, entering its 19th year, continues to turn out scores of aspiring performers. Inspired by their mentors, and instructed in early career development from the very beginning of their time at the college, they learn to take risks and pursue opportunities. Hannah Ockenden (who returns to Company C—the year III collective—in the fall) and fellow recent graduates Joanie Papillon (seen at the Greater Victoria Shakespeare Festival this summer) and Natalie Shaw (If We Were Birds—Theatre Inconnu, Escape from Happiness—Langham Court Theatre) combined forces and entered for a chance at a local slot in the Victoria Fringe Festival lottery. Their tactic was astute—how often do young performers have the chance to mount their own productions for a series of six performances? Rather than attempting to devise a full length piece, each member of the collaborative wrote and developed a short 10-minute vignette. The eternal and big questions—so often on minds in the transition from teen to young adult—are explored in two short dramatic scenes (in the first a sculptor’s model accepts death, knowing she has been immortalized by his work; in the second a young woman must come to terms with the accidental death of a friend) and one elegant movement-based sequence. Life’s mysteries in snippets, brought to the stage with thought, consideration and a pleasing aesthetic, Sky Corner signals a promising debut. 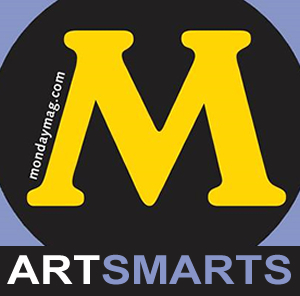 Featuring: Nicole Bartosinski, Willie Knauff, Ingrid Moore, Derry Oshust, and Hilary Wheeler. Sky Corner, by Hannah Ockenden, Joanie Papillon, Natalie Shaw, Victoria, BC. It’s a happy year when Rob Gee returns to the Victoria Fringe. Originally a last-minute substitution in the Victoria Fringe line-up of 2009 with Fruitcake (and left off the program as a result), he won the audience over with his boundless enthusiasm, flair and insider stories of life as a psychiatric nurse. In subsequent years he returned with The Genghis Khan Guide to Etiquette (2010), Smart Arse (2011) Forget Me Not (2013) and Icarus Dancing (2015) which garnered sold-out shows, rave reviews and well-deserved awards. Pandemonium is a departure for the affable Gee, a performance poet and spoken word artist of note; rather than a pre-determined set, Pandemonium (as befits the word) is comprised of audience selections from a list of twenty-two titles–a good three hours of material to choose from. Felicity! Patrons who enjoy the show can go back for more and hear new material. The Day My Head Exploded veers into a wildly surrealistic rant about the health care system—inspired by Gee’s own bout of meningitis. Imagine Edvard Munsch’s The Scream, set to rhyme, or the psychedelic images of an acid trip. And, while everyone may have stories about bad roommates, the one in My Roommate is Satan elevates poor social interactions to another level. To Whom It May Concern is taken from his Alzheimer’s trilogy (which includes the aforementioned Forget Me Not). Compassionate and perceptive, told from the point of view of a nurse in early stage dementia, it is a gentle reminder to future carers that behind the vacant stare of a patient, there are years of wisdom, experience and life. Gee loves playing with words, rhythm and mood and excels at pairing known form with ridiculous notion—to much gut-splitting laughter in a sea-shanty inspired Viagra. Crazy and wild notions collide in a ramble through the chaotic corners of life, and Rob Gee is the perfect guide. Sit down and strap in, you’re in for the poetic ride of your life in Pandemonium. Founded in 2009, Vancouver-based Luciterra Dance is an arts-based feminist workers co-op, determined to explore the intersection of social justice and the arts, and working in a unique fusion style that blends aspects of belly dance with contemporary, classical, urban and jazz forms. (i·m)position is “a theatrical story of love, conflict, aggression and sensuality” told in eighteen dances. Filled with sweeping and fluid movements, coupled with the astonishing isolation of muscles found in belly dance, there is a wonderful array of detail to consider and appreciate. Regardless of the audience’s experience with dance, (i·m)position is an accessible piece, open to many interpretations. A program with extensive notes is also available for individuals who prefer to situate themselves in the world of the dance prior to the first number. Connection and disconnection—play and conflict, the entire arc of human experience is displayed in (i m) position. Elements of light, sound and costume form a cohesive whole. (i·m)position is a high calibre and beautiful production performed with verve and joy by a dedicated troupe. Fringe-goers who might not necessarily be dance fans are highly encouraged to take a risk and make a place in their schedule. As Bushel points out, reading a text book on performance art, “you are not responsible for the audience’s reaction”. 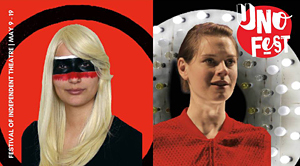 The very essence of the Fringe experience is in exploring the boundaries of performance. In Bushel & Peck, noted Fringe performers Alistair Knowles (James and Jamesy) and Stéphanie Morin-Robert (For Body and Light) join forces in a celebration of the unadulterated joy of play. First appearing as gibbering beings tantalized by a light they cannot touch—Bushel does seem to be the more sensible of the pair—they soon set off on a trippy journey. Morin-Robert displays prodigious core muscle strength as she balances a sheet of plywood to make a table, then proceeds to dance with and flip it end-over-end, passing it off precariously to Knowles. Consider this—even a ¼” sheet weighs 22 lbs! From surrealistic considerations employing balloons and magnifying glasses to graceful dances with blow dryers and their multi-coloured cords—Knowles and Morin-Robert move to the edges of the genre. Surrender to the undefinable and embrace the screwball and goofy nature of Bushel & Peck. Resistance is futile with this lovable pair. Since the early 2000s, award-winning Vancouver-based Ribbit Republic has focused on introducing exciting theatre to a younger generation. 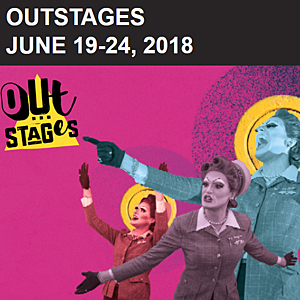 Originally a collaboration of recent theatre graduates, assisted by their acting teacher Kenneth Brown, the company has performed across North America, notably on the Fringe circuit, and now counts as alumni over thirty performers. Best Picture, written by Kurt Fitzpatrick joins his talents to those of Tara Travis–The Unfortunate Ruth-Uno Fest 2016, Til Death Do Us Part: The Six Wives of Henry the Eighth (Uno Fest 2013)–, and Jon Patterson, and is directed by Jeff Culbert who directed many of Jayson McDonald’s Fringe plays and performed archie and mehitabel (Victoria Fringe 2009), The Donnelly Sideshow (Victoria Fringe 2011). Can three accomplished thespians and impressionists lampoon and parody ALL the winners of the Academy Award Best Picture category in only an hour’s time? 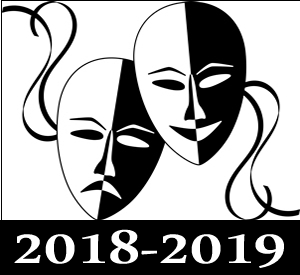 Transitions are smooth and flow from simple mention of a title, to re-enacted scene, musical numbers, parodies, and rants on the inequalities of under-representation, antiquated notions of social convention and the convenient re-writing of history for American patriotism. How did film makers think that Driving Miss Daisy was appropriate in 1989? Why did it take until 2009 for a woman director to win for Hurt Locker? Can white actors appropriate 12 Years a Slave without being accused of racism? Film buffs will marvel at the recreation of famous and iconic scenes from The Deerhunter, Gone with the Wind, The Godfather—and laugh at the crazy reduction of plot in Kramer vs. Kramer, Ordinary People, Out of Africa and Rain Man. Creepy characters surface in Rebecca, How Green Was My Valley and One Flew Over the Cuckoo’s Nest. Travis, Patterson and Fitzpatrick have considerable musical chops too—and don’t hesitate to belt numbers from The Sound of Music, Amadeus and Oliver. Running gags surface throughout. Half the fun of Best Picture is the delicious anticipation of how the actors will accomplish the monumental task they’ve set themselves; the other half is in reveling in the realization they do—with great skill and aplomb.